BRECOflex Introduces Move-Series AT15 Timing Belt - BRECOflex Co.
BRECOflex CO., L.L.C. has expanded their move-series line of timing belts with the introduction of the new AT15-move timing belt. It joins the AT10-move, which was first brought to market in 2014. This new belt is the strongest belt of its size available on the market and you can only get it exclusively from BRECOflex CO., L.L.C. The AT15move is made for high precision linear drive applications and heavy duty power transmission applications. Its greatest feature is the stiffness. If accuracy and fast settling time is what you need, not other belt can compare to AT15move. 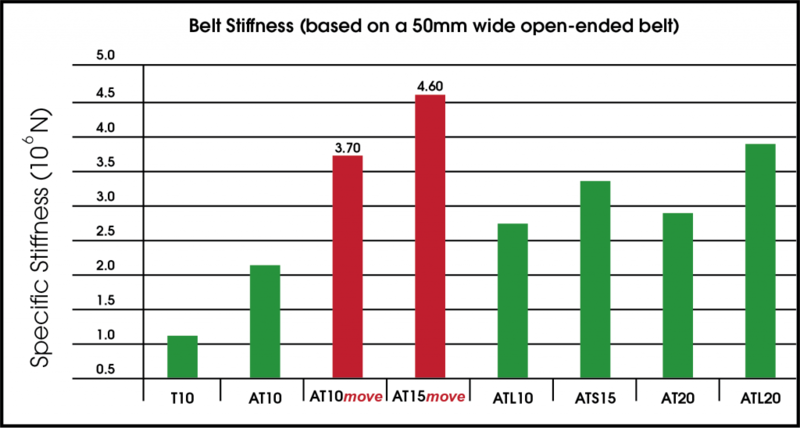 Chart 1 demonstrates the stiffness of AT15-move open-ended belt compared to standard polyurethane timing belts. As you can see, the AT15move surpasses all timing belts of the same width, even those of larger pitches like the AT20 and ATL20. 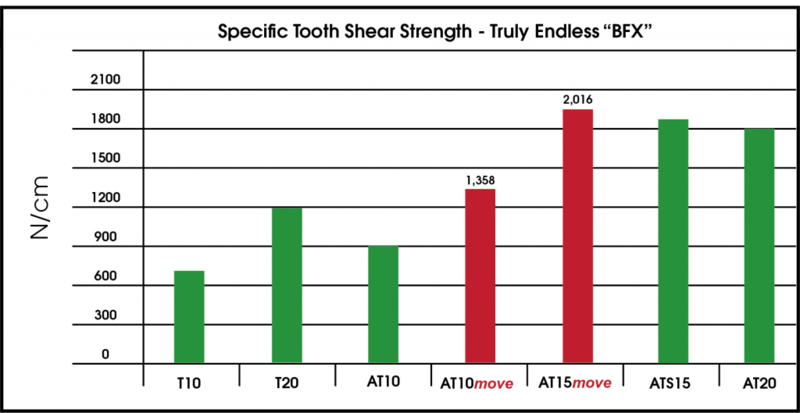 Chart 2 demonstrates the tooth shear strength of a AT15move truly endless “BFX” timing belt compared to traditional BFX belts. The laminate coating makes the move version stronger than the standard timing belt. For more information regarding available widths and lengths, and additions specifications, you can download the move-series engineering bulletin at www.brecoflex.com/literature.